The Grape & The Grain is British Columbia’s only spirit, wine and beer festival. The event is expected to attract up to 10,000 attendees and will be held May 28-29, 2016 at the Bill Reid Millennium Amphitheatre at the Cloverdale Fair Grounds in Surrey, BC. 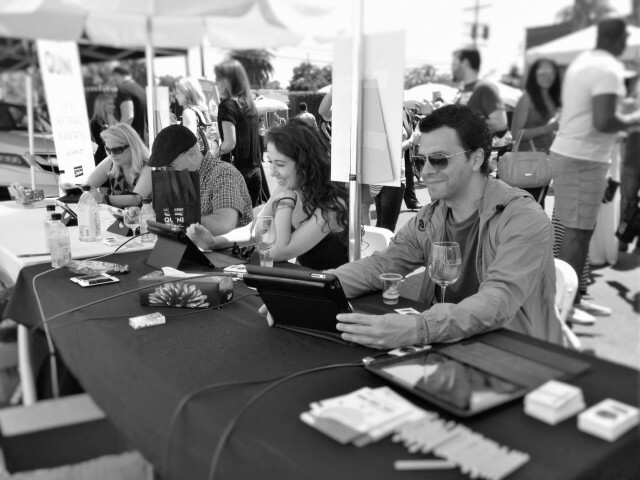 Festival goers will be able to rate wines poured at the event, using the Quini app on their mobile device and at Quini’s booth. Based on its proprietary algorithm, Quini will rank the top rated wines in various categories including Reds, Whites, Rose, Sparkling and Overall. The festival producers will recognize the winners with awards certificates at the end of the two-day event. A team from Quini will offer to festival attendees tips on wine tasting following the universal 5-step, 0-100 point Quini standard. Wine lovers will also learn how to discover and build trust in their own palate, using the app. Chaberton, Diabolica, Five Vineyards by Mission Hill, Mark Anthony Wine & Spirits, and Township 7 are amongst the key producers that will be pouring wine at the event. Quini joins 102.7 The Peak, 93.7 JRfm, KFM, The Kidney Foundation of Canada, BC & Yukon Branch and Operation Red Nose as partners of the festival. The Grape & The Grain will feature over 50 spirits, wines, beers and ciders from BC, 10 local food trucks and live music by local music groups including The Peak Performance Project winners JP Maurice and Dominique Fricot. Wine enthusiasts can get ready to rate wines by familiarizing themselves with the Quini wine app by using it to rate wines ahead of time. Quini can be downloaded at no charge at www.quiniwine.com. Quini provides leaders in the restaurant and wine industries with real-time wine tasting sensory data and software applications that improve decision making, maximize wine sales, automate and standardize training, and improve customer and channel engagement. Quini’s wine tasting and rating app completes the company’s solutions and is available for free download at QuiniWine.com. Privately held, Quini is headquartered in Vancouver, BC. The Quini project is co-funded by CMF (Canada Media Fund). Investors can access information on Quini’s current offering at https://quiniwine.com/wine-industry/investnow or contact us at offering@quiniwine.com.